Why is CMS issuing new Medicare cards and numbers? The law requires the Centers for Medicare & Medicaid Services (CMS) to remove Social Security numbers (SSNs) from All Medicare cards by April 2019. 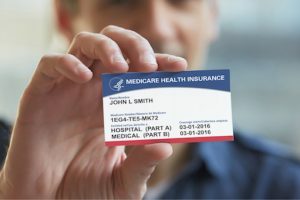 A new unique number will replace the current Health Insurance Claim Number (HICN) on the new Medicare cards. We’re taking this step to protect people with Medicare from fraudulent use of Social Security numbers, which can lead to identity theft and illegal use of Medicare benefits. When will CMS mail the new cards to people with Medicare? CMS will begin mailing new cards in April 2018 and will meet the statutory deadline for replacing all Medicare cards by April 2019.